Nick Diaz could be back in the Octagon by summer. 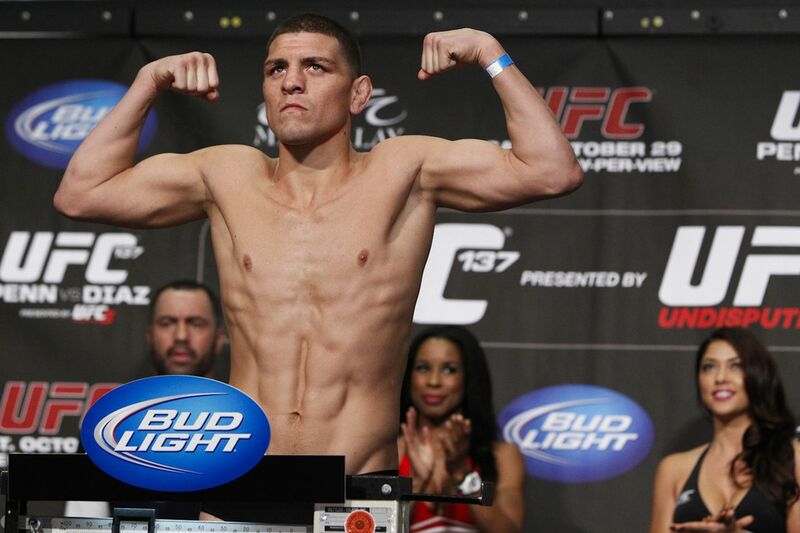 The Nevada Athletic Commission reduced its penalty against Diaz after a settlement agreement Tuesday during a meeting. Diaz will be suspended 18 months (retroactively) and fined $100,000 for testing positive for marijuana after UFC 183 on Jan. 31, 2015, sources told MMA Fighting. It was Diaz’s third marijuana violation in the state. The popular UFC star should be able to fight again by Aug. 1. The commissioners quickly approved the settlement unanimously Tuesday without mentioning the terms. Initially, the NAC suspended Diaz for five years and fined him $165,000 in September. The length of time caused a gigantic stir, extending far beyond realm of MMA. The decision was met with ire from fans, fighters, politicians and celebrities. An online White House petition to get it overturned earned more than 1000,000 signatures. The NAC, though, never filed a written decision to Diaz’s legal team, which opened up the door for settlement talks. The UFC’s law firm Campbell & Williams joined the fight later in the fall. In the first hearing, Diaz’s lead counsel Lucas Middlebrook argued that Diaz had actually passed two fight night tests and the one he failed came from a lab that was not accredited by the World Anti-Doping Agency. Nevada deputy attorney general Christopher Eccles’ case revolved around the fact that Diaz’s two negative tests were diluted and that he lied on his pre-fight questionnaire about not having taken drugs for the last 30 days.